Happy Halloween! It’s Cori from Hey, Let’s Make Stuff, back with a fun Halloween post for you on the Cricut blog! Are you planning on using your Cricut to make your Halloween costume this year? If so, I have rounded up a bunch of ideas to get you thinking about costumes! From masks to tails and everything in between, you’ll find so many great ideas for Halloween costumes here! I even used my new Cricut Maker to create my Halloween costume—a set of giant butterfly wings! Who doesn’t want to be a unicorn? 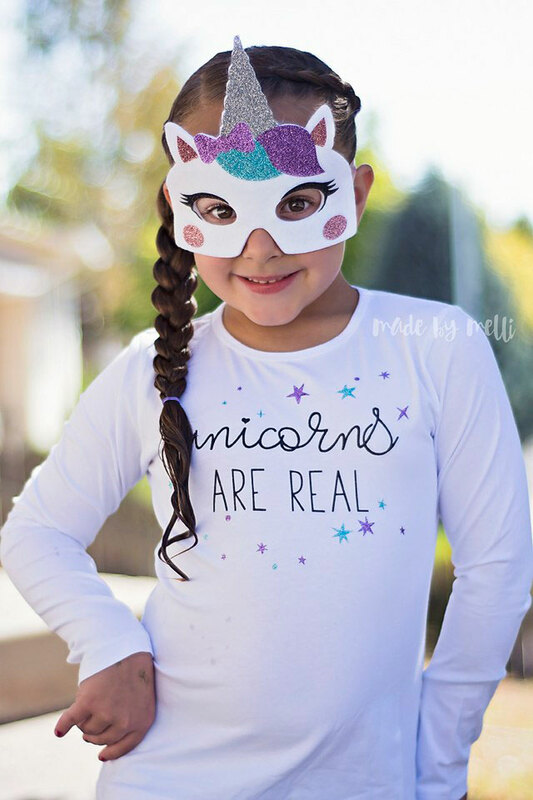 With this unicorn mask from Made by Melli, you can make all your unicorn dreams come true! 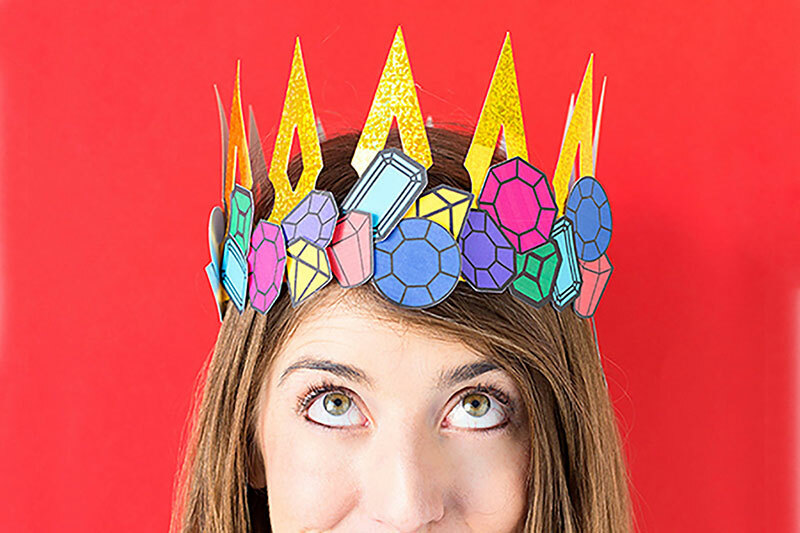 This “punny” crown jewels costume can be found in the Cricut Make It Now library! Perfect for a last-minute costume. 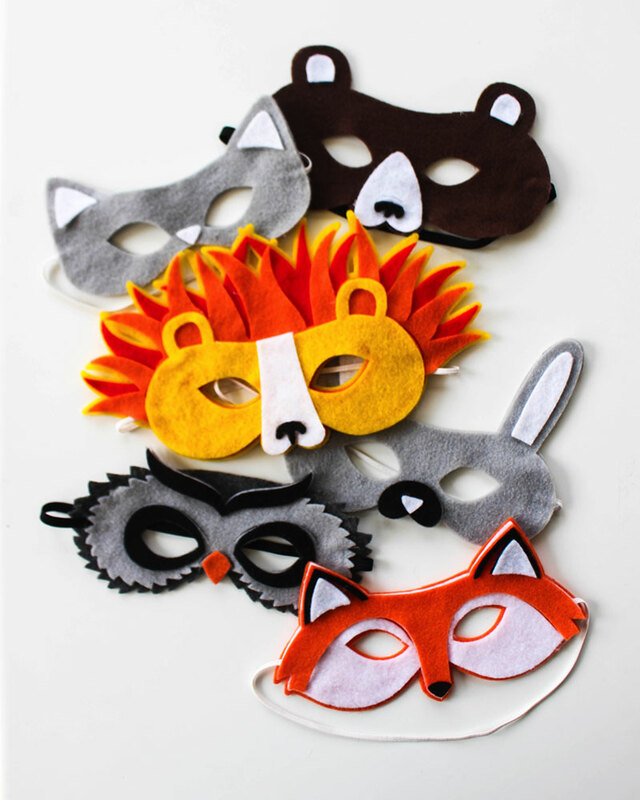 Whether your kid wants to be a fox, an owl, or a lion, Cloudy Gray Day has you covered with her felt animal masks! 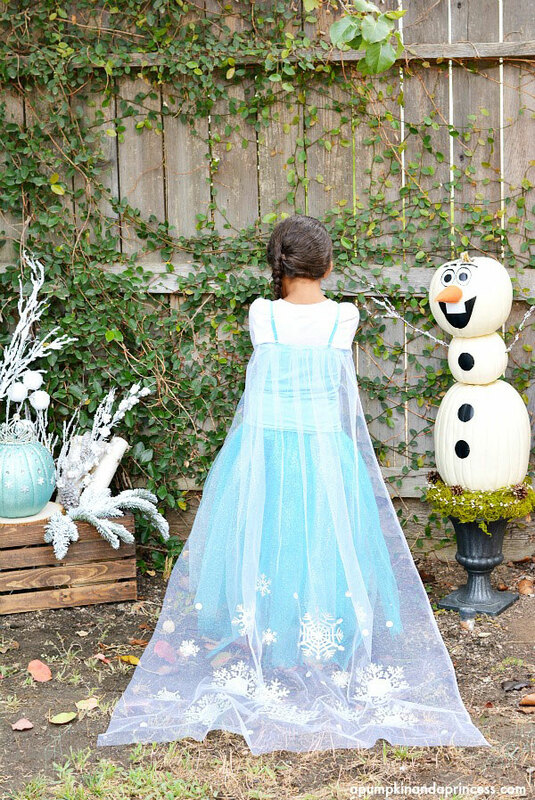 Make this ethereal snowflake cape from A Pumpkin and a Princess for your little snow princess for Halloween this year. See Lindsay goes all out in this amazing Polynesian demigod costume for her toddler son! 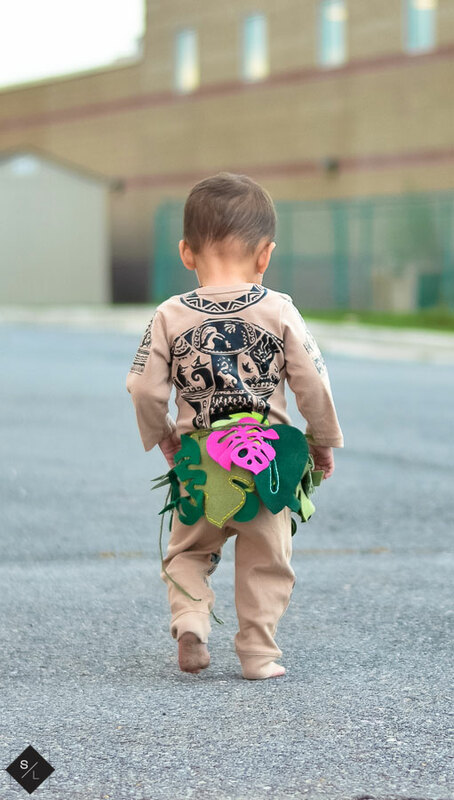 With both iron-on vinyl “tattoos” and felt leaves, this is the perfect costume for any tiny fan. 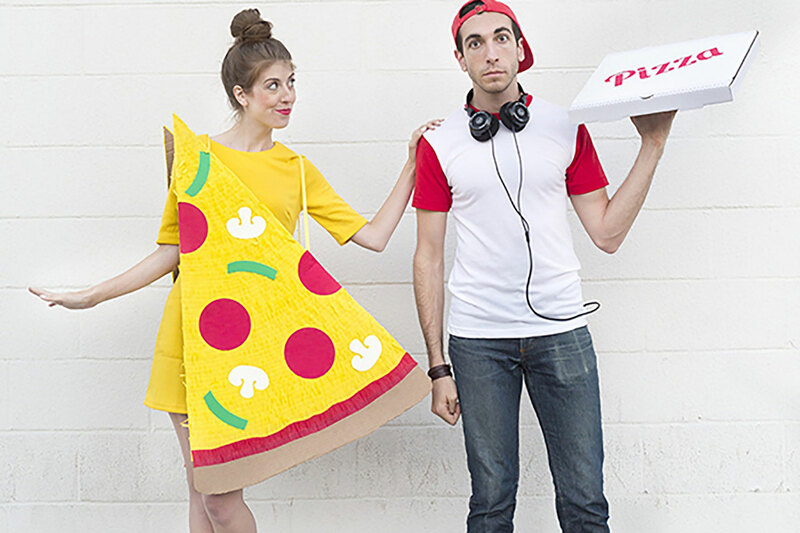 I think this pizza slice costume is so much fun—add a delivery boy and you have the perfect couples costume! You can find out how to make it in the Cricut Make It Now library. 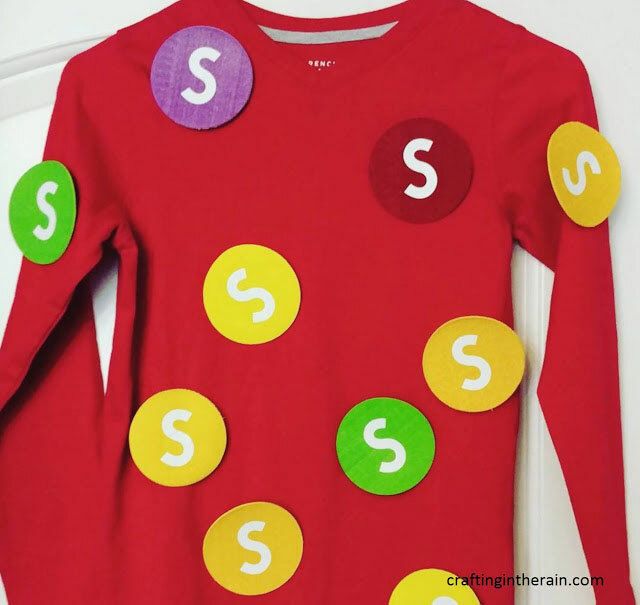 Continuing on with the food theme, Crafting in the Rain has a hilarious last-minute costume that costs less than $15 to make – a bag of delicious candy! So what are you planning on being for Halloween? What about your kids? I’d love to hear your ideas in the comments! Thank you for the cuts. I appreciate them very much!